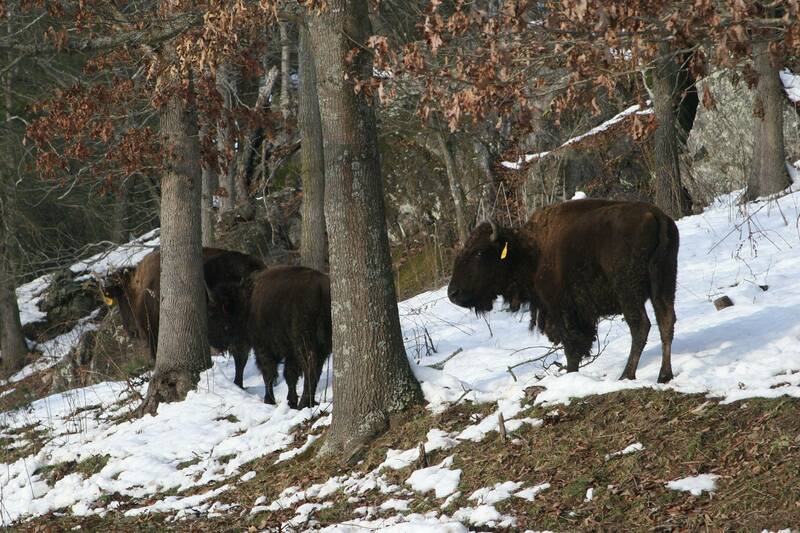 See Available Bison Meat Cuts! 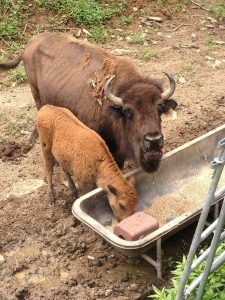 Trinity Bison Ranch began in 1995 as a ranch hobby when Harold & Harriet Clackett built their log cabin on an 18-acre homestead in Clyde, North Carolina with a small herd of five bison. It was Harold’s dream to own a piece of American history by bringing family and friends close to these majestic animals. 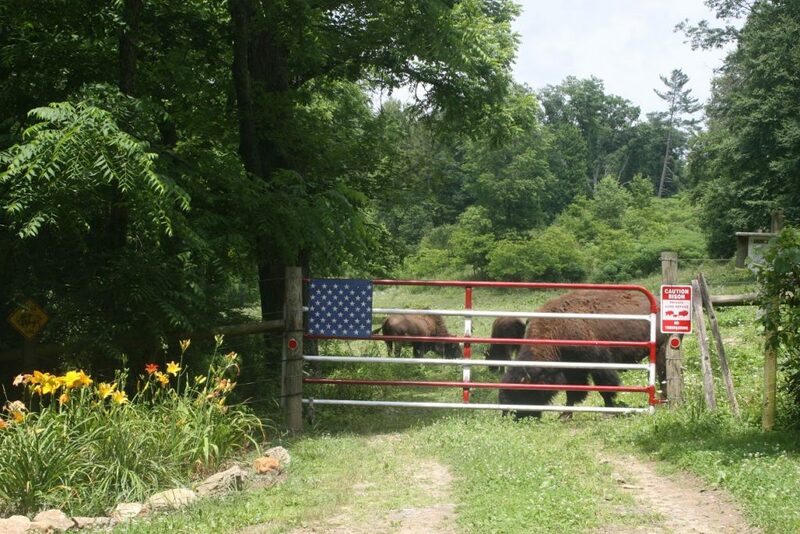 After several years of growth through natural proliferation, their only daughter and son-in-law, Cheryl & Jeff Hillis (U.S. Army Officer), joined in the fun of raising bison in 2005 by investing an additional five bison to the herd. What began as a lifelong dream for Harold and Harriet was now becoming a family owned and operated business affair. It was during this time that Buffalo Creek Vacations (Log cabin vacation rentals) became established with Jeff, Cheryl, and three of her brother’s, Timothy Clackett, Joshua Clackett and Jacob Clackett, and their respective spouses, by expanding and developing the adjacent 47acres to Harold and Harriet’s original homestead. 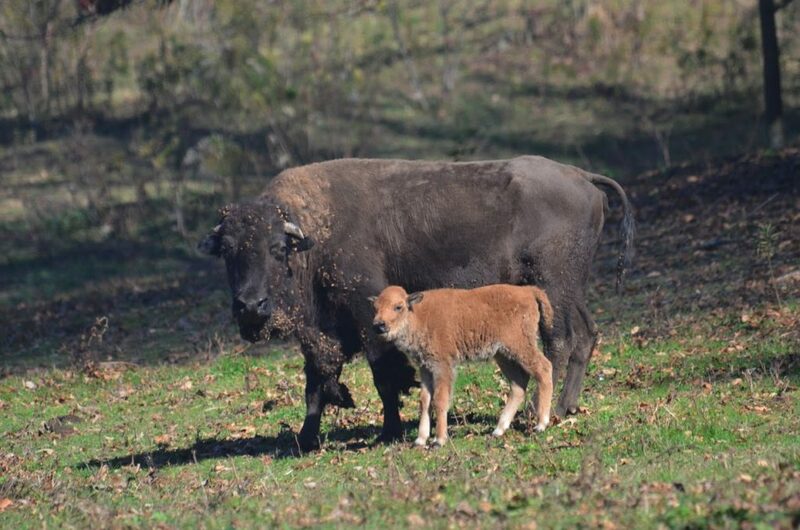 In 2015, to meet the demand of bison meat by vacationers staying at the sprawling rental business, and with the herd now growing to over twenty bison, Trinity Bison Ranch was formed. 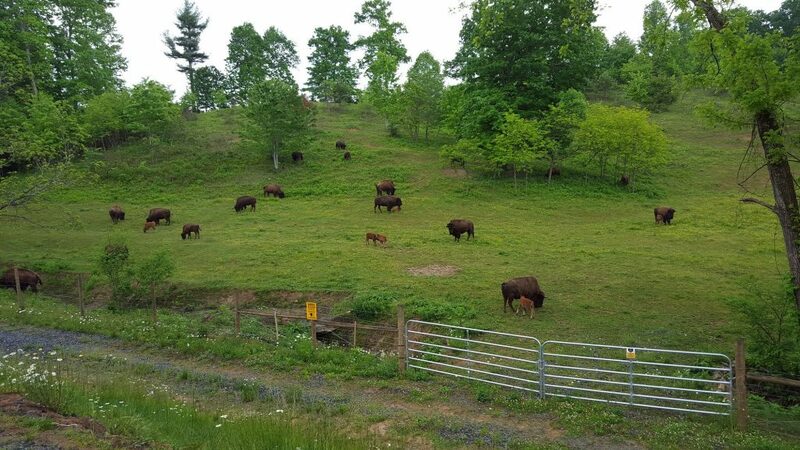 Today, Trinity Bison Ranch boasts a herd of over 25 bison on 22-acres fenced with eight-stranded, high-tensile wire, and continues to grow exponentially. Vacationers and the local populace are welcomed to view the daily morning feeding regimen of antibiotic-free and hormone-free grain that supplements the herd’s natural grass and hay diet. At any given time, one can easily watch these majestic animals lounging or frolicking in the field from our custom-made viewing platform, or simply from the access road to the cabins. Everyone is welcome to come see North America’s National Mammal at Trinity Bison Ranch!!! Approximately twice a year, a bison bull is selected for processing and transported to a local USDA inspected meat processing plant for butchering. Orders can be placed through Cheryl at (828) 550-0960. 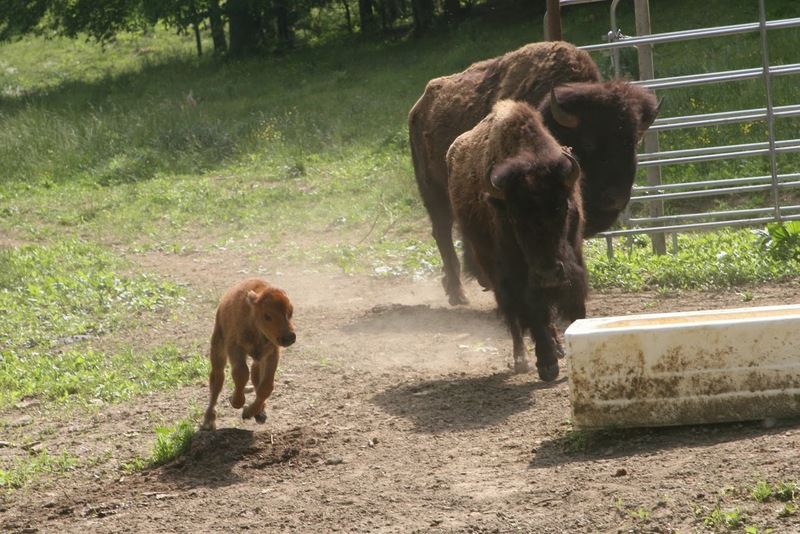 Explore the Trinity Bison Ranch photo gallery. & now...a sneak peak of our latest newsletter digitally...thanks to our wonderful designer Bronwyn Blenn. 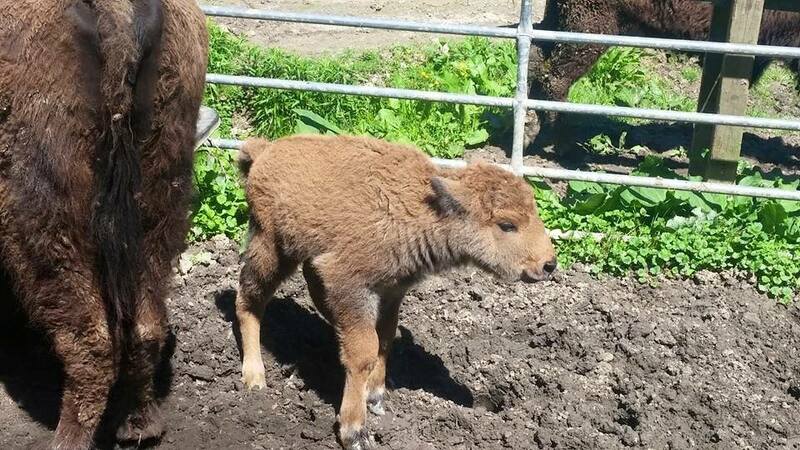 We had our 6th baby bison calf this week!! Great year at Trinity Bison Ranch!! 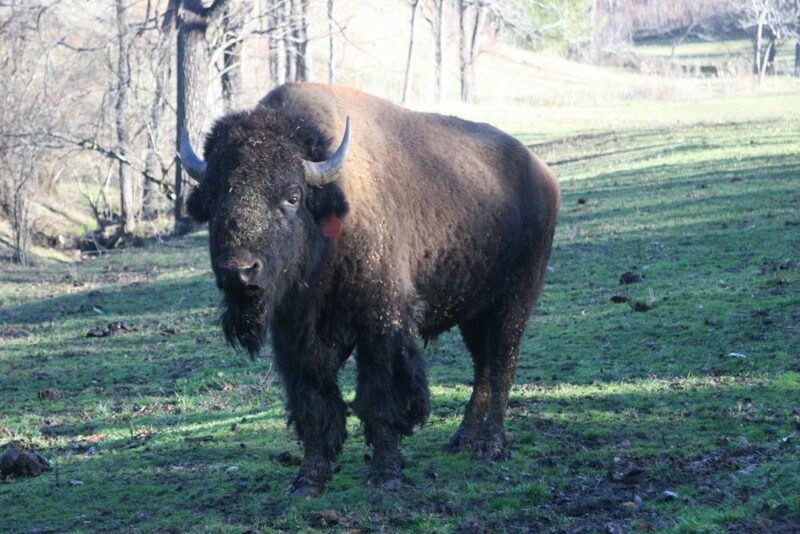 Did you know...that on this day 2 years ago President Obama signed the National Bison Legacy Act into law on Monday, May 9th, 2016, honoring the role the enormous animal has played in American history. In addition to the species’ importance in many Native American cultures, the bison has also served as a symbol of conservation success, coming back from the brink of extinction with an assist from Teddy Roosevelt. 4 reddogs so far in 2018!! Thanks Tracy for these great shots!